Classic fibula shawl pin in copper and turquoise lampwork glass--a classic color combination to bring a pop to your loose weaves. 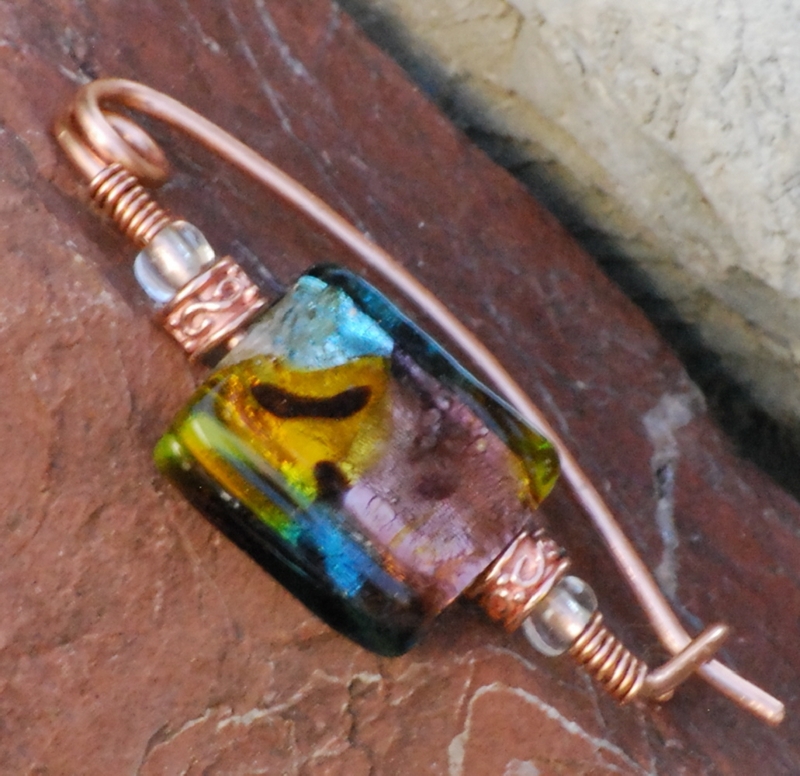 Entirely handmade with pure copper wire and accent beads that set off the lovely foiled lampwork bead in turquoise, gold, black, and plum. It The 'pin' measures about 2 inches long.